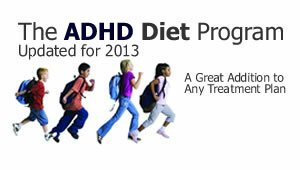 Is there a difference between "ADHD" and "ADD" ? It can be a bit confusing, but the "difference between ADD and ADHD" is really just a matter of terms. Once the American Psychiatric Association's diagnostic manual (DSM 3) referred to the disorder as either "Attention Deficit Disorder - with hyperactivity" or "Attention Deficit Disorder - without hyperactivity." This is how the two terms "ADD" (without hyperactivity) or "ADHD" (with hyperactivity) were formed. At this point the term "ADD" was really obsolete, but it was part of the cultural vocabulary. On the internet it is very difficult to use the term "ADD" as it looks like a word used in mathematics, or on forms to insert an item. "ADD Child" might mean a child with attention disorder, or that you should have another baby, or that there is a list that you should add another name to. So on the internet today the most common term is "ADHD" and for the sake of the good ol' days we refer often to "ADD ADHD".